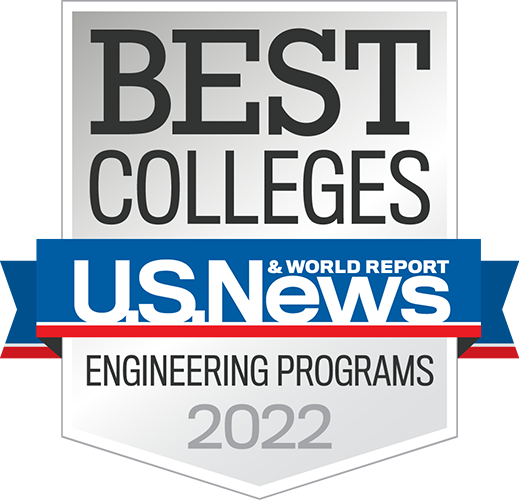 Top Ranked: Quality of the faculty and academics are among factors that put Rose-Hulman atop Design News' ranking of the nation's best undergraduate engineering education programs. Rose-Hulman's national reputation continues to grow, with Design News, a leading resource for engineers, naming the institute as the nation's top college for undergraduate engineering education. In making its rankings, the publication took into account student selection standards, faculty quality, academic department quality, and starting salaries-taking information used by four primary sources: U.S. News and World Report's College Guide, CollegeChoice.net, Graphiq, and Business Insider. One source used recommendations from engineering employees at the most popular technology companies. Other colleges listed in the top 20 included the United States military and naval academies, Carnegie Mellon University, University of Texas-Austin, California Institute of Technology, Purdue University, Cornell University, and Northwestern University. 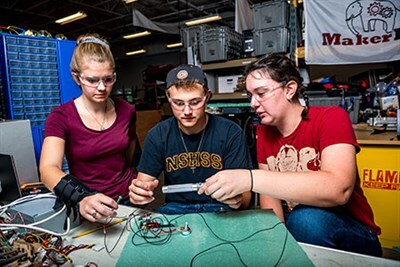 Design News described Rose-Hulman as a college where "students get technical knowledge and a hands-on education that teaches them the value of collaboration and teamwork." Senior Editor Rob Spiegel pointed out how this year's top-10 list is markedly different than the publication's 2014 ranking, which did not include specialized engineering colleges like Rose-Hulman, Harvey Mudd, and Olin College of Engineering. "One of the elements that has changed is our process for selecting the top schools. In the past, we used a limited set of sources. This year we extended our research to include a larger number of sources," states Spiegel in his Design Newsblog.